With a height of twenty metres, the cube-shaped Kesselhaus at the KINDL – Centre for Contemporary Art is a unique venue for art in Berlin. Starting in September 2018, Thomas Scheibitz will continue the series of artists who have developed a site-specific work for this spectacular exhibition space. 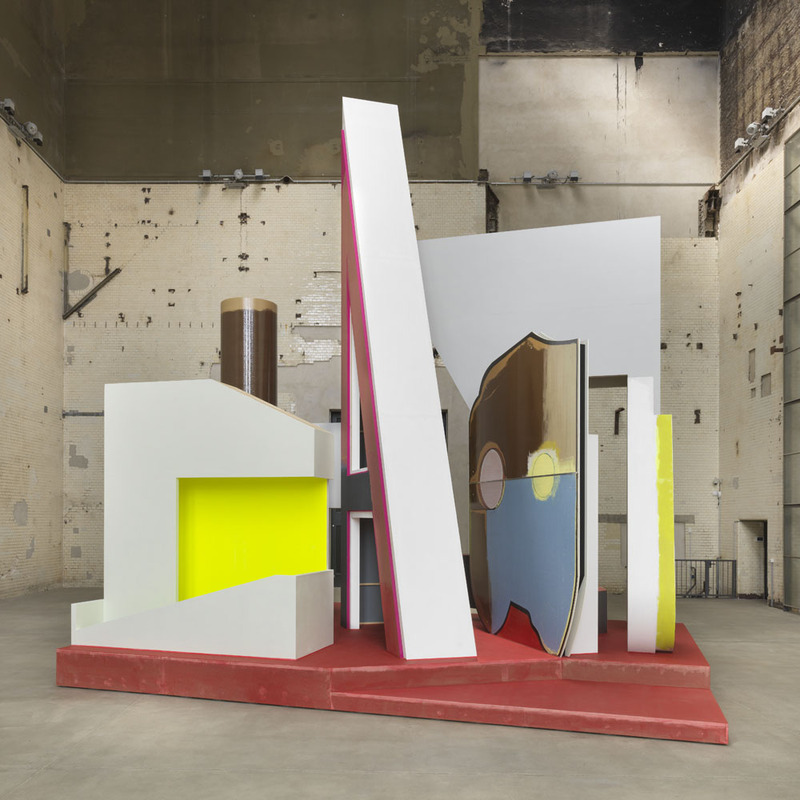 Following Roman Signer, David Claerbout, and Haegue Yang, Scheibitz is now the first artist in the series to have created a free-standing sculpture. Painting and sculpture have an equally important place in Thomas Scheibitz’s artistic practice. The basis for his work is always his wide-ranging collection of two- and three-dimensional things: handwritten notes, newspaper clippings, magnificent illustrated books, quickly jotted sketches, and curious objects—the artist collects, filters, organises, and archives all these things. This material then undergoes a variety of processes of transformation and thus flows into the creative process. 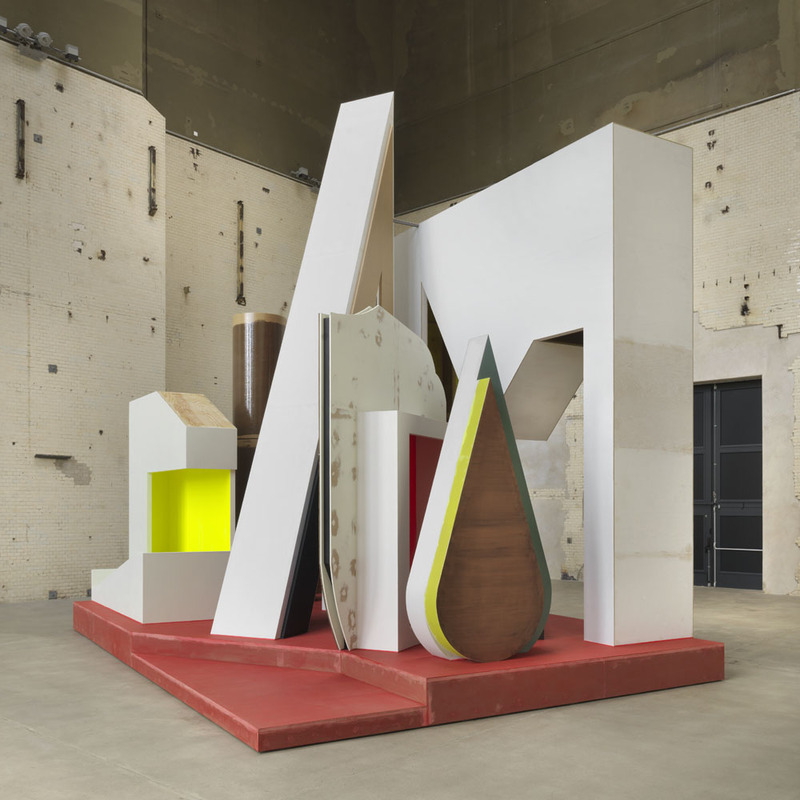 With Plateau mit Halbfigur, Thomas Scheibitz will realise his largest sculpture to date in the Kesselhaus. The development of this multi-part work—an intensive process of sculpting and determining the dimensions for the enormous space of the Kesselhaus—took around one and a half years. The title Plateau mit Halbfigurprimarily refers to the plinth-like structure that creates an autonomous space for the individual parts. At the same time, it refers to the fundamentally fragmentary and emphasises the work’s cut-out quality. The complex sculpture in seven parts, which is eight and a half metres tall at its highest point, blends into the cube-shaped Kesselhaus with surprising ease. An exhibition catalogue will be published by Verlag der Buchhandlung Walther König in Cologne. Public tour of the KESSELHAUS and Plateau mit Halbfigur on Saturday, 20. April 2019, at 2 pm.